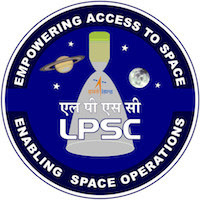 Candidate's minimum education qualification for the Vacancies in Liquid Propulsion Systems Centre LPSC-ISRO should be B.Arch. Application form and duly attested documents are to be sent to The Administrative Officer, Recruitment Section, Liquid Propulsion Systmes Centre, Valiamala P.O, Thiruvananthapuram – 695547. In envelope super scribed with 'Application for the Post of Post Name'.